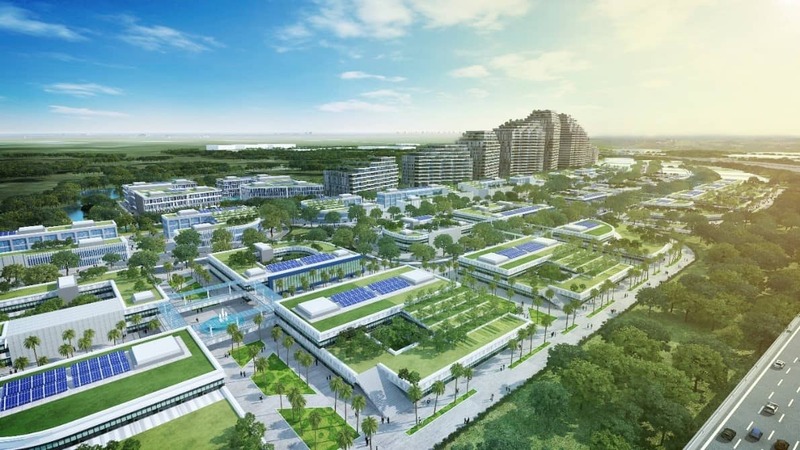 Designing Green Cities and Green Buildings – Is there a Secret Sauce? The recent global heat wave, that has claimed hundreds of lives, has once again thrown the debate on climate change wide open. Climate change certainly feels real, and backed by meteorological data, can indeed be proven to be real. Industrialisation has often been linked to global warming, and hence climate change. So too, has the consumption of fossil fuels, in which conversion into electricity can also become pollutive to the environment. As an architect and sustainability consultant, my team and I are often asked if buildings and cities – traditional culprits of industrialisation – can be designed to become more sustainable and less impactful to our natural environment. Globally, buildings account for about 40% of the world’s energy consumption. Could we start designing, constructing and maintaining buildings that are less energy-dependent, and less environmentally-damaging? Like a living organism, buildings interact with their environment. Understanding how the climate works, and how buildings can respond to their natural environments, will go a long way towards energy-efficient buildings. Good passive design, which is when a building’s architecture and geometry responds to the climate without necessitating energy-consuming systems, is critical. For instance, in our hot tropical climate, buildings can be oriented away from the harsh afternoon sun, and passages which facilitate natural wind-flow can be created. This would reduce the energy required to cool the building down, to achieve the required thermal comfort. The design of sustainable buildings of the future will be underpinned by three key concepts: sustainability, resiliency and interconnectedness. Architects and engineers are realising the value of technology beyond its use as a design tool, but also for performance verification, energy management and troubleshooting. Solutions such as Building Information Modelling (BIM), Virtual Reality (VR) and Augmented Reality (AR), when interlinked, provide enhanced capabilities to visualise both exterior and interior spaces, allowing architects to revolutionize living and working experiences for individuals. Developers can also experience the building concepts in a fully interactive 3D environment, supporting greater efficiency and accuracy in a construction project. This is also possible at national level. Virtual Singapore allows city planners and developers to visualise and collaborate on building and infrastructure development projects together through VR. By embracing such innovation, we are now able to integrate the design process between buildings and towns, and effectively plan for critical infrastructure such as utilities, sanitation and waste management. This equips governments with capabilities to manage and support the needs of the existing population, while looking ahead to allocate resources for a sustainable future. Buildings can also become more digitally integrated with other forms of media, developing autonomous capabilities to capture and transmit data about their occupants and making fine adjustments on its own to improve living conditions. 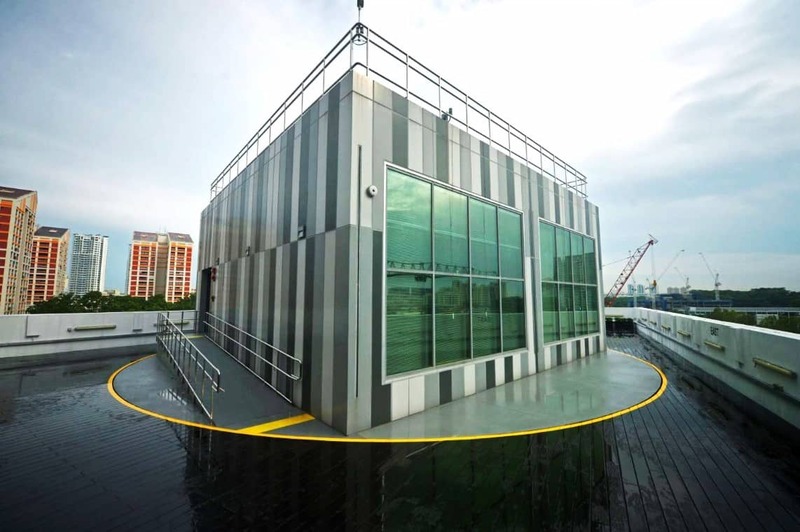 For example, the Building & Construction Authority (BCA) SkyLab, designed by Surbana Jurong and completed in 2016, employs Internet of Things (IoT) by interrelating the variables of lighting, temperature and indoor air quality. The BCA SkyLab is a test laboratory where new, intelligent building technologies can be installed and tested, and automated under a smart building management system – guided by close to 200 sensors. Active design solutions – those which are controlled by technology, such as artificial lighting and air conditioning – can thus be automatically adapted towards external conditions, and internal occupancy. Managed appropriately, technology integration could save more than 30% of a building’s energy consumption. Sensors placed around a building can also capture data such as human activity, brightness of surroundings and electrical consumption patterns. These devices can then implement intelligent tweaks on the fly to maintain optimal conditions, thus creating a higher efficiency in the energy performance of buildings. 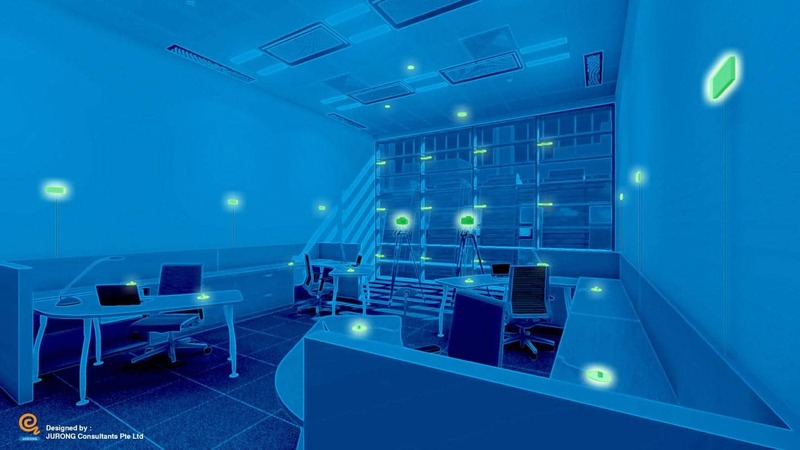 A seemingly small implementation of IoT in a building can bring about a significantly positive effect on both the building and its occupants, showcasing the scale at which technology can improve people’s lives. 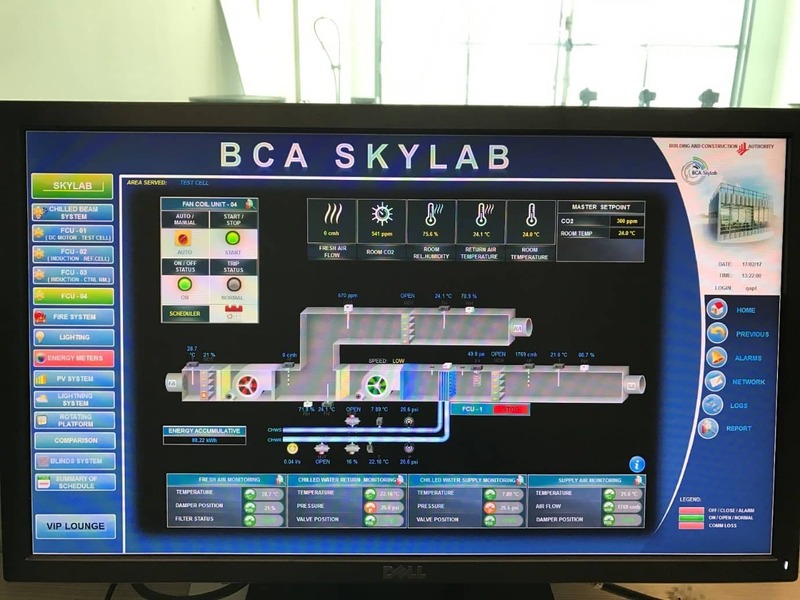 A screenshot of the Building Management System (BMS) of BCA SkyLab which records and manages building data, and adjusts the building’s systems accordingly based on optimum efficiency and comfort. The upcoming SDE4 (School of Design and Environment Block 4) Building at the National University of Singapore (NUS), also designed by Surbana Jurong, with Serie, Multiply, Transsolar and Kajima, is slated to be the first Net Zero Energy institutional building (NZEB) in Singapore. This basically means that the building is first of all designed to use as little energy as possible, and for what it does use, harvest energy from the sun to offset that usage. Here, the advent of high-efficiency photovoltaic (PV) technology, has allowed for a higher conversion rate of solar power into electricity over the roof area. The building will also integrate IoT in managing lighting and temperature levels, based on what is visually and thermally comfortable for its occupants. c) offsetting consumption from the grid through renewable energy sources. With technology, the construction process is also enhanced, guided by a drive towards efficient, productive and non-pollutive processes. Similar to the manufacturing and assembly of consumer goods, buildings too could be designed in modular pieces and assembled on-site, thus encouraging a new mode of creativity that not only innovates building design but drives efficiency in construction and assembly. New materials such as building-integrated photovoltaics (BIPVs) for electricity generation, organic materials for façades, plant materials for exterior or interior walls, composite materials that resist the effects of weathering, and 3D-printed components for facades can help improve sustainability performance of buildings. Machine learning and artificial intelligence are also making their way into buildings, giving building developers better tools to design more sustainable buildings for the future. For example, artificial intelligence and machine learning today can help designers make more accurate predictions of a building’s usable lifespan, its life cycle cost, and maintenance requirements, allowing building owners to proactively mitigate building maintenance issues before they become a serious problem for the occupants. Buildings themselves are starting to become even “smarter” with the latest technology advancements. Aided with the right building management platform, building owners now have the ability to combine data such as energy consumption and water usage from different machines, and across disparate sources together in an easy-to-view dashboard. To better manage electricity consumption, a huge component of a building’s monthly expenditure, building managers can use a cloud-based centralized energy solution, which allows building owners to track and manage energy usage in granular detail. The data can also yield actionable intelligence to constantly improve the buildings’ energy performance and contribute to climate action. Technology is certainly taking centre stage in the industry today, as evident by the wave of innovative technologies and new start-ups that promise to uplift the trade. For professionals in the industry, adopting an open mind to these developments in technology allows them to keep up with market trends and stay relevant. In the long run, we need to create a culture of innovation where firms are encouraged to find new modes of balancing design, productivity, operational efficiency as well as revenue. These are challenging times ahead for all of us, but also exciting times!